The New Zealand Fishing competition runs continuously and the season dates are April 1st to March 31st of the following year. Registration (without measure) is now for FREE (previously $19.95) thanks to DB Export - just enter the code DB Export. An official measure and registration is $19.95 (plus $4.95 courier) when you enter the code DB Export. If you would like to purchase a measure, please click here and select the option for measure only. Registration enables you to upload your entries for the current competition season, enter a qualifying fish of any eligible species, enter our sponsors sales promotions, feature on our leaderboards and form, or belong to, private or public groups within the NZ Fishing Competition. Each season finishes on the 31st March at midnight. Registration after catching a fish and photographing on an official measure (for example - (such as a charter boat, fishing Club, tournament contest or using a friends measure) is permitted. The New Zealand Fishing Competition is open only to New Zealand Residents only. Any prizes won must be able to be delivered to a New Zealand address. The fishing area is anywhere within the NZ economic zone. Snapper, kingfish, kahawai, trevally, gurnard (red gurnard only), tarakihi (EXCLUDING king tarakihi - predominately found at major offshore structures such as King & Ranfurly banks - is slightly larger and king tarakihi doesn't have a prominent dark band), john dory, blue cod, blue moki and trout are all eligible provided they have been measured and photographed on an approved New Zealand Fishing Competition measure. A digital photograph must be submitted that clearly shows the whole fish on the measure, confirms the measurement precisely, and the placement complies with the rules for measuring your catch (see "Measuring your catch for The NZ Fishing Competition" below). A maximum of one entry per species per registrant per day is permitted. Fish must be reasonably fresh and in good condition. Each individual fish can only be entered once - i.e: Multiple entries of the same fish not permitted by either the same or multiple individuals. There will be a monthly prize drawn from all registered participants who have entered (and had approved) one or more fish in that calendar month. 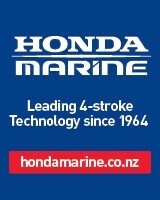 For the purposes of eligibility for the monthly prize draws, the date used is the date caught NOT not the date of upload of the entry to www.fishingcomp.co.nz. There is one entry in the draw per registered participant irrespective of the number of catches uploaded during that period. (For clarity, any registered participant in the NZ Fishing Competition who uploads one catch in any month will have the same chance of winning the prize draw as a participant who uploads a number of catches). Annual prizes awarded at the end of the Competition Season which runs from April 1st to March 31st of the following year. The longest fish in each species category will be awarded a prize or trophy. In the event of more than one entry being tied for first place for the longest fish in any species category, the prize for the longest fish in that category will be drawn. Prize values stated are approximate normal retail. All prizes will be awarded as shown unless due to unforeseen circumstances, such as but not limited to reasons of stock availability, a particular prize is no longer available. The New Zealand Fishing Competition reserve the right to alter prizes at any time where the new prize value is equivalent to or greater than the normal retail value of the prize being replaced. The New Zealand Fishing Competition is open to New Zealand residents only and any prizes won must be able to be delivered to a New Zealand address. All catches must be measured on an official NZ Fishing Competition measure. The NZ Fishing Competition official measures include any measure that has been formally approved for the NZ Fishing Competition by the NZ Fishing Competition organisers. While every care is taken with the production of the New Zealand Fishing Competition measures, the organisers take no responsibility whatsoever in the use of this measure for the purposes of determining the legal length of any fish caught. The measure should be calibrated from time to time with another accurate measuring device. A clear photograph of the fish, correctly placed on the measure, is critical for your entry into the competition. It is your responsibility to ensure you provide an image that we can use to validate your entry. Place your fish on the official measure as shown below and take one or more digital photographs that clearly shows the whole fish, placed side-on, on the measure with either the upper or lower jaw touch the edge of the L shaped plastic end of the measure. Ensure the V of the tail is clearly visible and as close to the midline of the measure as possible. Take the photo from directly above the fish looking down on it rather than from the front or side. Take several photos just in case. Shadows can cause problems if the fish is placed on part sun/part shadow. The tip of either the upper or lower jaw must touch the edge of the L shaped plastic end of the measure. It is permissible to place a hand or have someone hold the fish on the measure or use damp cloth on the fish to settle it while a photo is taken, provided this does not obscure the fish significantly or prevent The NZ Fishing Competition administrators from being able to validate your catch. The V of the tail should as close to the midline of the measure as possible. Fish with a straight (trout & blue cod) or convex tail edge (john dory) should be placed so the tail edge is as close to parallel as possible to the graduated lines on the measure. All fish including blue cod and gurnard must be placed side-on the measure. Fish must be measured fresh and must not be significantly cut in a manner that alters the length. We strongly recommend you DO NOT gut or gill your catch before taking the photo as generally it will render the fish ineligible for the competition. Photos with the fish clean of any blood are preferred and images with excessive blood may be declined. Please note that your fish may not be eligible for entry to the NZ Fishing Competition if the above conditions are not met, however the organisers totally reserve the right to accept an entry on the basis that an appropriate reduction in length is made for any non-compliance and/or the Fishing Competition administrators reserve the right to disqualify any catch at their sole and absolute discretion for any reason whatsoever including but not limited to suspected measure tampering and false date submissions. For species with a V tail the innermost point of the V must touch or exceed the line on the measure to qualify for that 0.5cm increment. For example if your fish is just over 40cm but does not reach the 40.5cm mark then the length recorded will be 40.0cm. For species with a straight or convex tail the measurement will be the point where the middle of the tail touches the measure. Please ensure your fish is placed so the tail is evenly spread and the middle of the tail is along the midline of the measure. If the tail appears to have been squeezed together, a deduction in length will be made. You agree that the contact details you provide will be accurate and valid at the time of registration. Any details supplied will not be shared with 3rd parties. You also agree that the NZ Fishing Competition can send occasional newsletters with updates and important information about the competition from time to time. Catch entries may only be uploaded to the website by individuals 18 years and older to comply with current liquor promotion requirements. The New Zealand Fishing Competition organsers reserve the right to suspend the Competition, amend any aspect of the rules or terms and conditions without prior notice and for any reason whatsoever at their sole discretion. You agree to abide by these Rules, Terms and Conditions on registration. The New Zealand Fishing Competition organisers decision on all matters is final and no correspondence will be entered into. You agree that the information and material you submit with each catch entry (ie your name, a photo(s), and the location of your catch) is able to be used by NZ Fishing Competition and Competition sponsors for the purpose of advertising the Competition and/or to evidence your participation in the Competition. All photos submitted by you will be treated as non-confidential and non-proprietary and become the property of NZ Fishing Competition once submitted. NZ Fishing Competition may licence, reproduce, publish, disclose, modify or adapt any photos submitted by you without restriction or payment to you. At The NZ Fishing Competition we're committed to making any online purchase convenient, simple and totally secure. By placing an order on The NZ Fishing Competition website you agree to and accept the terms and price specified in this website. This price may include delivery and other applicable charges which are stated during the ordering and/or checkout process. If a particular The NZ Fishing Competition product is temporarily unavailable, we will contact you, and inform you of the estimated date of availability and deliver the product when it is available or give you the option to cancel the transaction. Your contract with The NZ Fishing Competition will begin when you have fully paid for your order and The NZ Fishing Competition provides confirmation that your order has been accepted. Confirmation will be sent via email to the email address you have specified. By creating an account with The NZ Fishing Competition you agree to receive communications from time to time which may include: account status updates, order status updates and other important information relating to the competition if you have registered. The NZ Fishing Competition makes every effort practical to ensure that delivery timeframes are prompt but we are unable to accept liability for any loss or damage directly or indirectly arising out of, or in connection with, any delay or failure to deliver within the estimated time frame. We use NZ couriers for delivery of competition measurers and our service level targets are delivery within 3 business days of your order being placed. If however for any reason, dispatch of goods has not occurred within 14 days from your order date, you may elect to treat the failure to deliver as a termination of the contract between you and Fishingcomp.co.nz. In such an event The NZ Fishing Competition will refund any payment due to you in respect of that particular order. 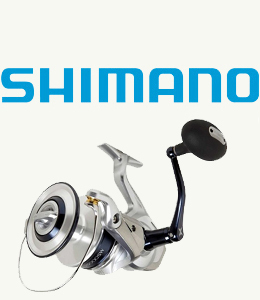 The NZ Fishing Competition accepts payment via selected credit cards only. If you'd like to pay by online bank transfer from your account then just e-mail us and we'll provide the NZ Fishing Competiton account details. All prices are in New Zealand dollars (NZ$) and include GST (15% GST). All prices are correct at the time of order. The NZ Fishing Competition will fulfil orders to New Zealand residents only. Please ensure you have entered your delivery address carefully as we generate a shipping label from the information you have entered on your order. In the event you have entered incorrect information, please note that The NZ Fishing Competition cannot refund or resend the product. Couriered deliveries will require a proof of delivery signature. Our couriers are instructed not leave goods at an unattended address unless requested when placing your order. In this circumstance neither The NZ Fishing Competition not the courier company can be liable for loss of the shipment. If you have requested proof of delivery and are not at the specified address when the courier calls a delivery card will be left advising you where your order can be collected. Couriered goods are insured by our courier company but they have strict criteria for claims. Please thoroughly check your order before signing for your delivery. If the couriered goods are found to be damaged in transit please advise the courier at the time of delivery or us immediately as we have a limited time to lodge a claim. You have rights the Consumer Guarantees Act 1993 which states that any goods purchased for personal use may be returned if they are not of an "acceptable quality" (for example, if they are not fit for the purpose for which they are bought, or if they are unsafe). Any returns under the terms of this provision, The NZ Fishing Competition will provide a refund or a replacement product within a reasonable period of time at our expense. Aside from the Consumer Guarantees Act provisions if you are not completely satisfied with any product that is purchased from The NZ Fishing Competition, for whatever reason, the item with the exception of some listed below may be returned, prepaid, within 14 days of purchase. Courier charges are non-refundable. We cannot accept returns on products that have been used, or items that are not in original condition. The information on this website is provided for general information only. The NZ Fishing Competition has provided this information for the benefit of users in good faith and with all reasonable care. Errors and omissions in this information may occur and The NZ Fishing Competition does not accept any liability for any loss or damage which may directly or indirectly result from any opinion, information, advice, representation or omission contained on The NZ Fishing Competition web site. By accessing, browsing or purchasing using this site, you acknowledge and agree to our terms, conditions and any relevant disclaimers. The NZ Fishing Competition reserves the right to change any or all of the information contained in these terms or conditions at any time. The NZ Fishing Competition reserves the right to refuse service, remove or edit content or cancel orders at their sole discretion. Any orders cancelled by The NZ Fishing Competition but paid for, will receive a full refund. Other refunds will be given at the discretion of The NZ Fishing Competition. The NZ Fishing Competition will retain ownership of the products you order until you have made payment in full for those products. Ownership of those products & any risk therein will pass to you on dispatch from The NZ Fishing Competition.